To the uninitiated, startup fundraising can be confusing. And even some of the resources designed to be approachable for the newcomer often raise more questions than they answer. So we’ve launched a series called “A Startup Takes Flight” to simply explain the dynamics of fundraising and deal terms. To do so, we’re following two entrepreneurs who started a company and raised some money from investors. The people, company, and funds involved are fictitious, but the math and deal terms are very much real. After covering the basics of founding a company, dividing up founder shares, capitalization tables, the common financial instruments, deal terms used in the Seed funding process, and how those deal terms affect pre- and post-money valuations. This week, we’ll see what happens when Jill and Jack raise their Series B round. Jack and Jill are cofounders. Jill is CEO. They started a company called Internet of Wings, which they’ve taken to calling IoW. IoW does drone delivery of house-made chicken sandwiches throughout Silicon Valley with aspirations of expanding beyond the Bay Area. IoW raised an unpriced seed round and a $7 million Series A round at a $15 million pre-money valuation, and a $28.87 post-money valuation due to the terms of the Series A deal. Here’s the company’s full capitalization table from where we left off last week, after Internet of Wings raised its Series A. And here’s where the company’s share structure as of their Series A round. Let’s see what happens when a new round of financing comes in. In most cases, a startup’s fundraising history sets the trajectory for future investment. There are many deal terms that affect which investors can get in, how much stock they’re able to buy during a funding round, and at what price they buy those shares. But here, we’re focusing on two: pro rata rights and pre- and post-money valuation. One thing to note about venture capitalists and lawyers: they tend to use lots of Latin phrases, pro rata included. Literally translated, it means “according to the rate,” but for all intents and purposes it’s come to mean “proportionally” in both venture capital and other branches of finance and law. For all investors, these clauses are a risk management strategy, in that they add a layer of predictability to a generally unpredictable asset class. Especially for angel and seed investors, they guarantee a seat at the table during a Series A round. For other investors, pro rata clauses allow them to maintain percentage positions in their most successful portfolio companies as those scale.1 And for those companies where maintaining a certain percentage ownership stake is a requirement for keeping a board seat, pro rata rights help investors maintain that type of oversight. For entrepreneurs, though, pro rata rights can be a bit of a double-edged sword. On the one hand, pro rata rights help to answer the question “who’s going to invest in the next round?” However, the clause is one of the main reasons why founders must be choosy with their early investors, if at all possible. Friendly seed investors or venture capitalists that add a lot of value to the company and make introductions and provide strategic guidance like it’s their job (because, well, it is) are the sort of folks that founders want to maintain influential equity stakes in their companies. If given pro rata rights, those investors who don’t add value beyond the check they signed, or have ulterior motives for investing in the company can shut out the good ones from a round. Catching up with our two intrepid cofounders, Jack and Jill, the business has been growing at a decent clip. It started as a cockamamy idea hatched over dinner at an uppity cantina in the gentrified side of San Francisco’s Mission District. It was, after all, an elaborate pun of a business idea at the outset, but it caught on and expanded in scale, if not quite yet in scope. The Internet of Wings now has a custom facility with a kitchen, packaging line, and a hive of custom sandwich-delivering quadcopters Jill has affectionately dubbed “The Drone Zone.” Granted, it’s still just a couple of rooms hacked out of a defunct Pizza Hut near South San Francisco, but for a Series A-stage company, Jack and Jill feel like they’re doing well. IoW has some revenue and a small, but very loyal, base of customers mostly consisting of college students and tech startup employees. The value proposition to them: the novelty factor of air-dropped chicken sandwiches, plus the cost savings of not having to pay a gig economy worker to wait in line and listen to podcasts. And an Area Venture Capitalist has even made it a Thursday tradition to have a sandwich delivered through the sunroof of his Tesla Model S amidst the gridlock on Route 101. His Snaps reviewing the food and experience have all twelve tech journalists that care about this sort of thing atwitter on Mastodon. In order to continue this hockey stick growth, Jill, Jack, and the other board members decide that the company should raise a Series B round. 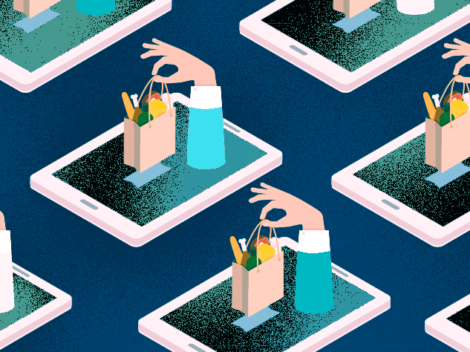 The board encouraged a slight pivot in strategy, from what one member characterized as “a full-stack, on-demand delivery restaurant” to a generalized drone delivery platform for local restaurants in the Bay Area. 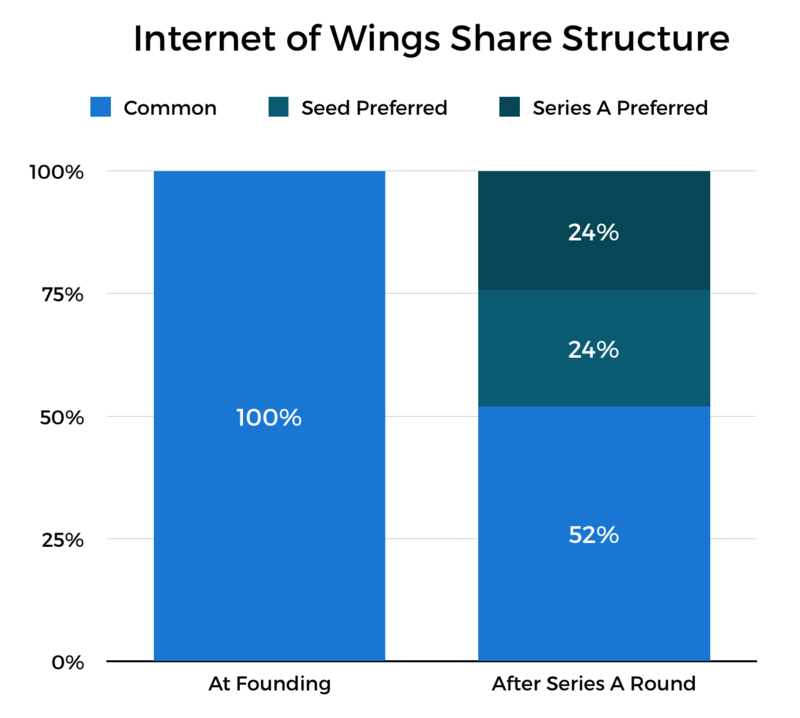 Pro Rata Rights in The Internet of Wings, Inc.
Before we get into the math behind this particular round, let’s look at IoW’s investors and their pro rata rights. Again, these investors have the right, but not the obligation, to invest proportionally in Internet of Wings’s Series B round. 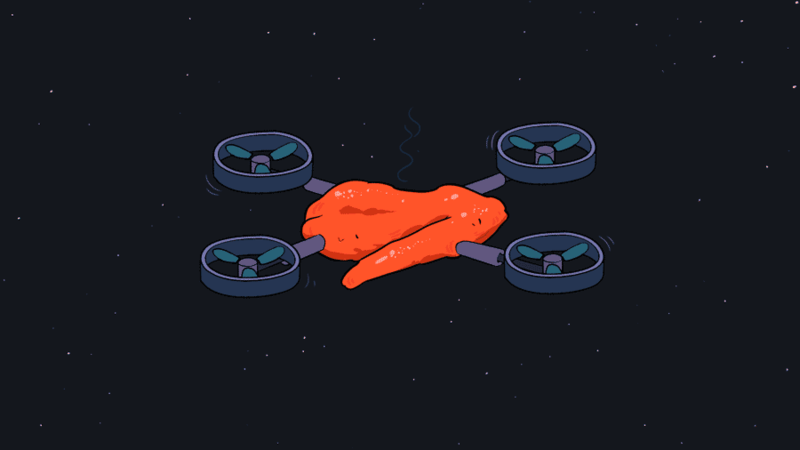 Jill, Jack, and the board decided to raise a Series B round to fund continued expansion of the Internet of Wings’s operations in the Bay Area and development of a platform for other restaurants to deliver their food via drone to hungry customers. Jack and Jill, sitting at the same shabby, chic cantina where they came up with the Internet of Wings in the first place, decided to pursue this new direction. “It was never about the chicken sandwiches,” said Jill to Jack, who seemed somewhat crestfallen at this admission. Jack, after all, had the food science background and had successfully recreated the sandwich he remembered from his youth. Jill continued, “I mean, like, the total addressable market of food delivery is ginormous. Billions of dollars a year.” She looked at her phone and pulled up a chart one of the board members sent her. “You’re sounding like Dirk,” said Jack. Jack took a deep sip of his $14 artisanal yerba maté and looked down at the gourd it was served in. He admired it for a second, focusing on its natural insulating properties, the fact it was biodegradable, and the fact that drinking vessels could literally grow on trees. “OK let’s do it,” Jack said as he snapped the clamshell to-go container. 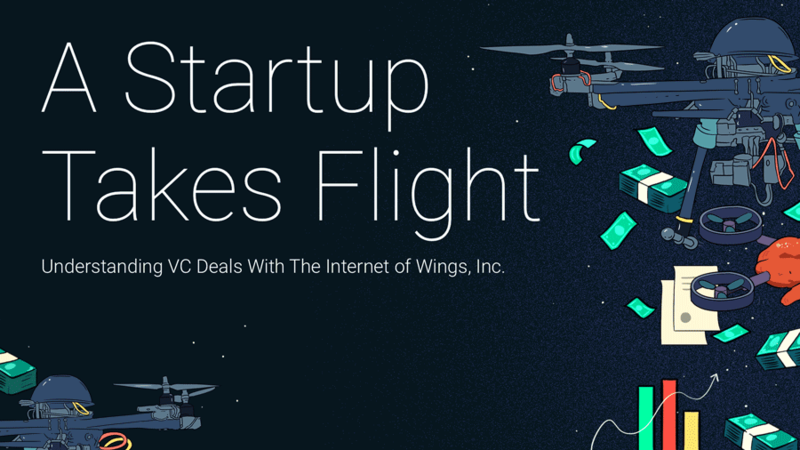 Cormorant Ventures, the lead investor from Series A, takes the lead on Internet of Wings’s Series B round as well. Analysts and partners at the firm were impressed with the traction of Jill and Jack’s company, and they found the new platform direction compelling. They took the firm’s current revenue and book of business into account, its proprietary drone technologies, and the engineering talent the company was able to recruit to date. All in, they’re valuing Internet of Wings at $35 million pre-money, a 21.2 percent step up from the company’s $28.875 million Series A post-money valuation. In this round, IoW is looking for a $15 million cash infusion to continue building out its flock of drones, a spot market for its drone services, a new packaging design lab, and a few test hives (“Drone Zones,” internally) with bays for more drones. Unlike with the Seed round, there were no discounts, valuation caps, or other deal terms attached to the Series A round that would create a higher valuation for the company at Series B. So, here, the post-money valuation of the company is going to simply be the sum of its pre-money valuation ($35 million) and the amount of money being raised in this round ($15 million), a total of $50 million post-money. Recall that after Series A, the company had approximately 19.25 million shares outstanding. To find the share price at Series B’s valuation, we divide the pre-money valuation ($35 million) by the number of shares outstanding just prior to Series B (19.25 million) to arrive at a share price of approximately $1.818. So, if Internet of Wings is raising $15 million, that means the company will need to issue $15 million worth of stock at a share price of $1.818 per share. When all is said and done in this round, the company will create 8.25 million new shares. Now, calculating the amount that each investor must invest in the round to maintain the same percentage ownership is simply a matter of multiplying their percentage stake prior to the round times the number of new shares being issued in this round, and in turn multiplying that by the current share price. In this case, because the company’s valuation hasn’t increased by a huge amount and the company is raising a sufficiently large amount of money in this round, all investors are able to participate and maintain their pro rata stakes. Here’s the capitalization table of Internet of Wings after its Series B round is complete. And here’s the company’s share structure. And here’s where the company’s various shareholders sit with respect to one another. This week, as we followed Jill and Jack through the process of raising their Series B round, we learned about pro rata, one of the most important clauses in a venture capital investment agreement because it ensures that investors aren’t diluted in a subsequent of financing round. We also learned how to calculate how much an investor needs to invest to maintain their ownership stake in the company. The question is, will Jack and Jill’s new vision of building a generalized transportation layer for restaurant delivery work? Rocky times may be ahead, so tune in next week as we learn about ratchet-based antidilution protections and what happens during down round financings. This is part of the reason why there are an increasing number of so-called “opportunity funds,” which give venture capitalists and their limited partners more exposure to the late-stage rounds of their early successes.